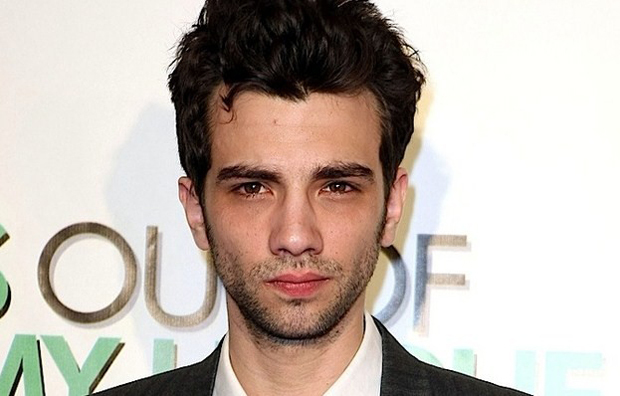 With a nasal voice and distinctly expressive eyes to go on a tall gangly frame, Jay Baruchel is more known for his work in comedy movies where he is often portrayed as an awkward yet endearingly adorable guy next door. He was born on April 9, 1982, in Ottawa and brought up in Montreal where he started taking acting lessons from the age of 12. His father, Serge Victor Baruchel, was an antiques dealer and his mother, Robyne, was a freelance writer. His acting career started in 1995, when he made his first appearance in the kids show, “Are You Afraid of the Dark?” Following this, he also appeared in local shows like, “My Homeland” (1996) and “Popular Mechanics for Kids” (1997). He made his debut in movies with, “Who gets the House”, which starred Elisha Cuthbert. In 2000, he made his debut in Hollywood with the widely acclaimed movie, “Almost Famous” where he played the role of an infatuated fan of Led Zeppelin; however it is for the hit series, “Undeclared” (2001), in which he plays Steven Karp, for which Baruchel is really known for. He then started making appearances in major motion movies, in supporting roles, like “The Rules of Attraction” (2002) where he worked with actors like Ian Somerhalder and James Beek. Things slowed down for him after a couple of shows that did not go as well as hoped and it was his appearance in “Million Dollar Baby” (2004), because of which he finally got back in the limelight. Clint Eastwood especially appreciated and acknowledged his role and work in “Million Dollar Baby”, when he accepted the Oscar for Best Picture, for the movie. Jay Baruchel tried his hand at the television again in the show, “Just Legal”, in which he played the role of an attorney, starring against Don Johnson. However, the show proved to be a disappointment and was taken off air subsequently. In 2002, he made his debut as director with the movie “Edgar and Jane”. Interestingly, apart from direction, he also wrote, produced and edited the movie. His work in the Hollywood includes “She’s out of My league” (2010), in which he played the lead and “Knocked up” (2007) where he played the role of Seth Rogen’s best friend. He is also known for his work in “How to Train Your Dragon” (2010) and its sequel, “How to Train Your Dragon 2” (2014), in both of which he is the voice of the lead character, “Viking Hiccup”. Another movie which distinguished him as a fine actor was “The Sorcerer’s Apprentice” (2010) in which he co-starred with Nicolas Cage. All of these movies got him A-listed in Hollywood but despite that, being native Canadian at heart, he enjoys working in Canada and has appeared in independent movies like “Fetching Cody” (2005) and “Just Buried” (2007). In 2012, he starred in and also co-wrote, the movie, “Goon”. The movie combined two of his passions which are hockey and acting. In his personal life, he enjoys hockey and soccer and divides his time between the US and Canada. In 2010, he got engaged to Alison Pill; however the couple parted ways in 2013. He speaks fluent French and has also been a part of “Martin”, which was a Canadian based rock group, where he played the drums.